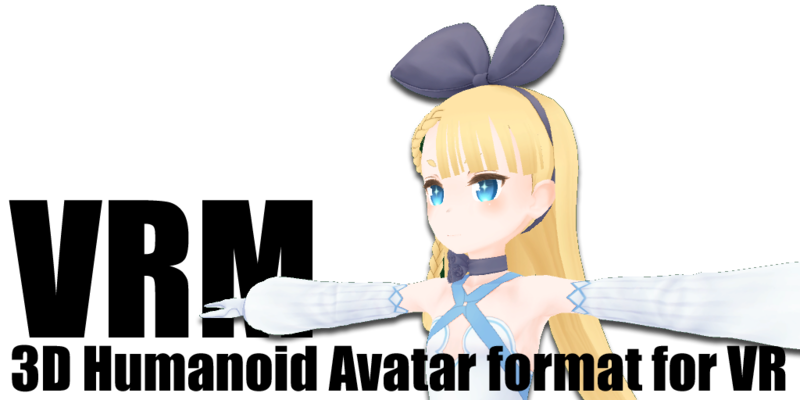 Copyright © DWANGO Co., Ltd.
“VRM” is a file format for handling 3D humanoid avatar (3D model) data for VR applications. It is based on glTF 2.0. Anyone is free to use it. In addition, a standard implementation (UniVRM) in c# that can import and export VRM file in Unity is released as open source. What is “VRM”? What can VRM do? What can you do with VRM? What applications that support VRM?